We had several restaurants we were interested in and tried to get reservations at Wild Fish, but they weren’t available. Instead, we decided on Frankie’s. 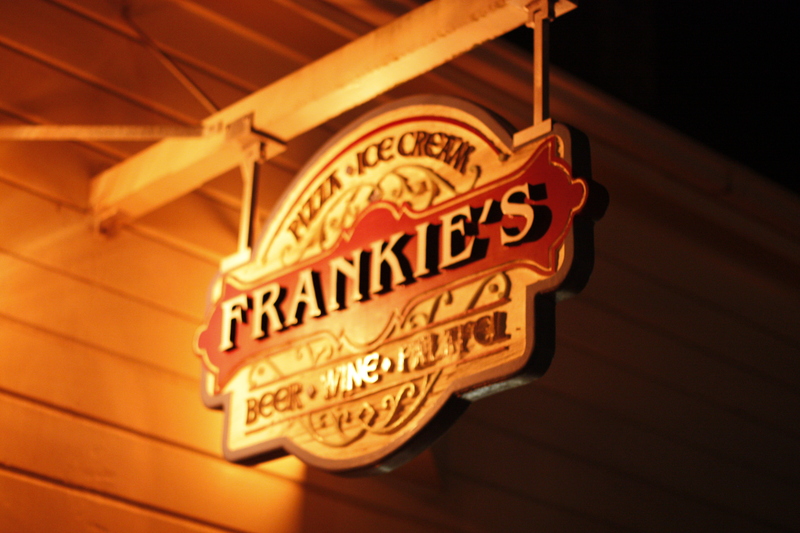 Frankie’s serves pizza and ice cream and even offers a gluten- free pizza option. 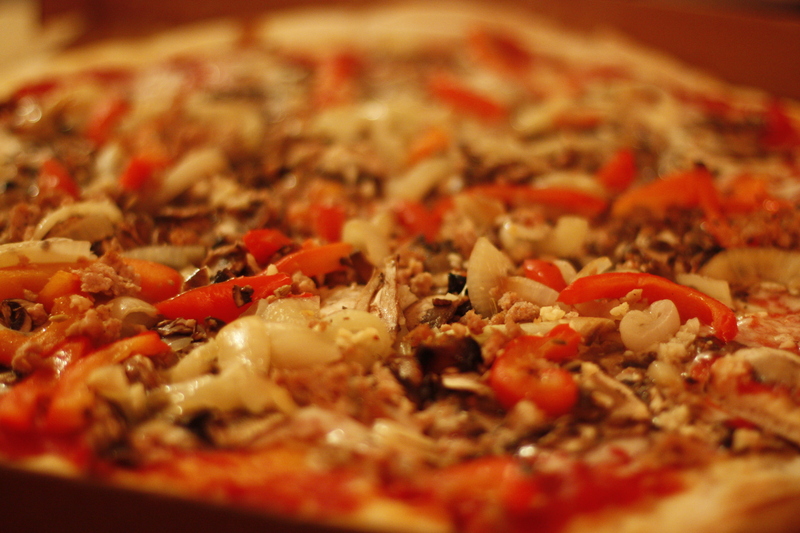 We loved that the 14″ & 16″ pies can be done half and half. 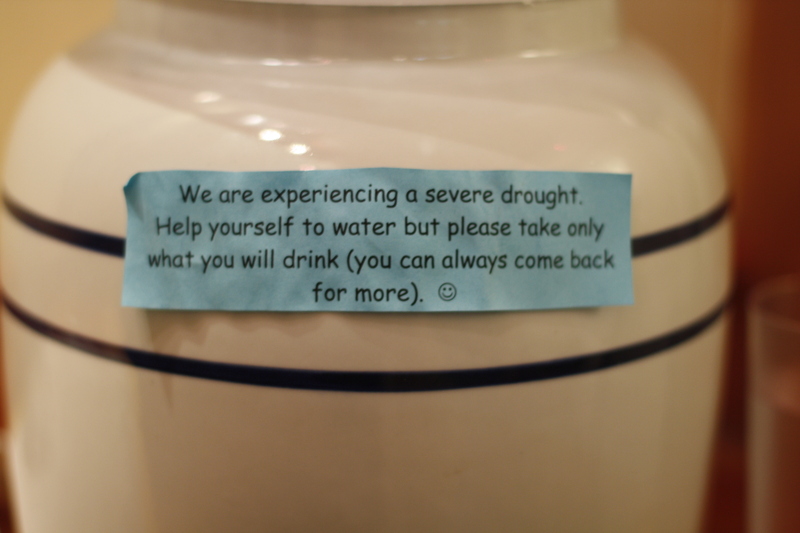 Frankie’s had a port – a- potty and signage for the drought. We ordered the 16 inch pizza Smugglers, a traditional Italian red sauce, mozzarella, roasted red peppers, cremini mushrooms, garlic, caramelized onions, but added sausage for $25.35. It was the bomb-dot-com. Generous portion of organic vegetables, sweetness from the onions and peppers. The Italian sausage kicked the pie up a notch and went well with the earthy mushrooms. We had to order the 16 inch because they ran out of the smaller sizes, no complaints here because the leftovers were perfect for a late lunch after the morning drive. We also tried the mushroom cap ice cream. Interesting flavor name right? 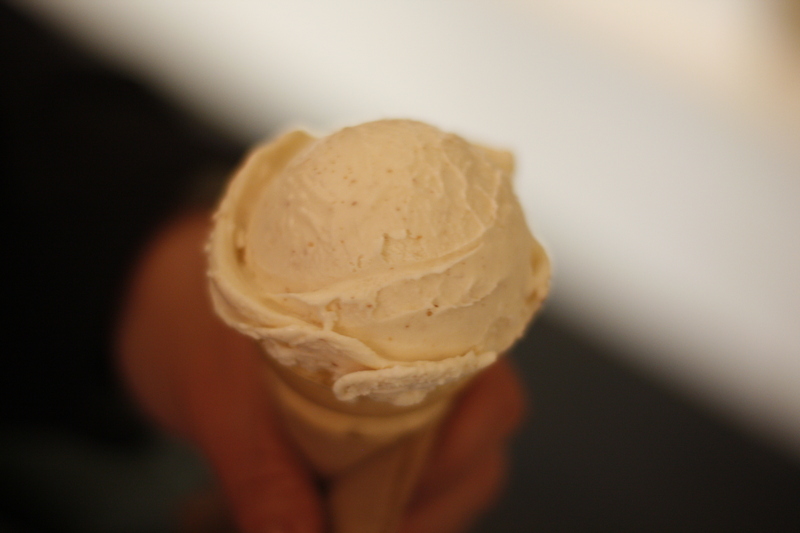 It was described as a mushroom and maple ice cream which was more a maple creamy flavor with a hint of earthiness. Unique. Definitely return to Frankie’s if we are near Mendocino for both the pies and mushroom cap.